Boldenone undecylenate (Equipoise, EQ) is a derivative of testosterone with a similar androgenic activity and higher mytrophic activity. Boldenone undecylenate has a very low conversion to oestrogen and hence does not present excessive oestrogen side effects. Instead, boldenone undecylenate is converted by 5-alpha-reductase into dihydroboldenone and some of its androgenic effect mediated by dihydroboldenone. 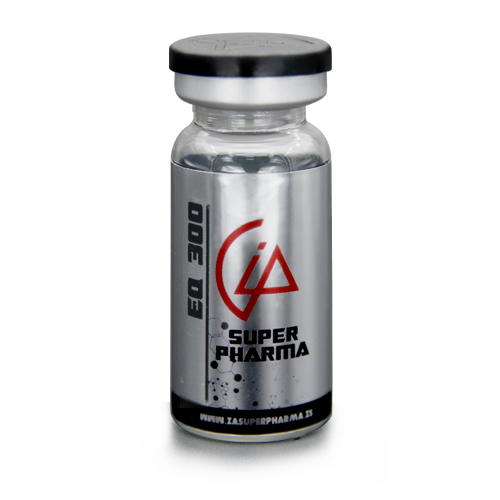 Boldenone undecylenate increases overall body metabolism rate and increases appetite. 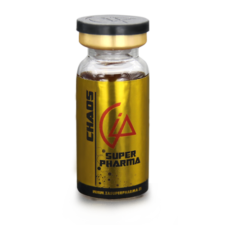 Its primary purpose is to increase red blood cell count whilst increasing lean body mass. 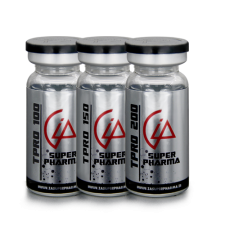 Since Boldenone offers very few side effects it makes this anabolic/androgenic steroid (AAS) a good therapeutic choice for competitive athletes, bodybuilders and age-related non-genomic muscle degenerative diseases like sarcopenia. The undecylenate ester extends half-life of boldenone in circulation, which, depending on dose, is approximately 10 days. Bulk oil orders (250ml and 500ml) are packed in sterile aluminium canisters. Grape Seed Oil BP q.s. Adult dose (Male) 300mg-900mg EOD, ETD, EFD intramuscular injection. Adult dose (Female) 25mg-100mg EOD, ETD, EFD intramuscular injection. Hematologic: Suppression of clotting factors II, V, VII, and X, bleeding in patients on concomitant anticoagulant therapy, and polycythemia. Androgens are contraindicated in men with carcinomas of the breast or with known or suspected carcinomas of the prostate and in women who are or may become pregnant. Geriatric patients treated with androgens may be at an increased risk for the development of prostatic hypertrophy and prostatic carcinoma. The same precautions have to be taken as with other AAS convertible into DHT.